ence seems to be focused on conservation, many speakers will be discussing wildlife ‘management’, including wildlife ‘harvesting’. are generally a pest, and does not recognise their intrinsic value in the environment. Another presentation, titled: ‘Achieving pest control through sustainable wildlife use’ also explores the concept that certain species can seen as both a pest and a resource. Our primary concern about this conference is the discussion section on Wildlife Trade and Commercial Use, particularly the session being presented by Ben Allen on ‘Creating dingo meat products for Southeast Asia: potential market opportunities and cultural dilemmas’. It would come as no surprise to readers that the principal sponsor of the conference is the Sporting Shooters Association of Australia, along with the Queensland Government. export market — Australian dingoes for Asian diners.’ The petition went live Monday 1st August, and generated 1,000 signatures every 24 hours for the first five days. We are currently sitting at over 6,000 signatures. A fabulous response and a clear indication that the Australian public, and even people overseas, find the subject of the session abhorrent. Secondly, the NDPRP plans to write to the Chancellor of the University, presenting the results of the petition, and calling for the session to be pulled. We will inform members of the results of this action via e-mail. Most Australians find the eating of canines to be disgusting, and indeed the eating of dogs is not legal in Australia. 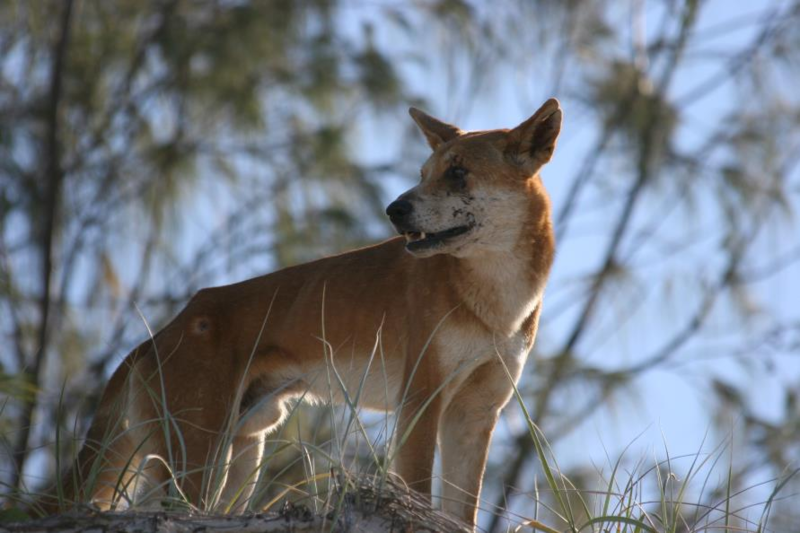 A growing body of environmental research shows that the dingo is crucial to ecosystem health, and that our past removal of the dingo from the environment has contributed to serious environmental damage. The proposal to kill and market dingoes to Southeast Asia for commercial gain is something the vast majority of Australians would find repugnant. Australians believe that our native wildlife should be protected as our natural heritage, and that wildlife has an intrinsic value. This fundamental value is under attack by those who seek to exploit wildlife for profit. on the commercialised harvesting of Australian wildlife – called the development of ‘sustainable’ wildlife harvesting industries. From this perverse perspective, the right of wildlife to exist is reduced to its potential to produce a commercial profit, and wildlife profiteers are promoted as ‘conservationists’. Sadly, the commercialised destruction of wildlife is already established in some areas, as with the large-scale harvesting of kangaroos, and crocodiles, which were nearly hunted to extinction in northern Australia. Major public institutions are now involved in the promotion of the commercial harvesting of wildlife. Please sign our petition to express your objection to the University of Queensland for hosting a conference of this kind, to the Queensland Government for sponsoring it, and to demand that the ‘dingo meat market’ session be cancelled. Australian Dingoes: Eco-Saviours Or Pests?